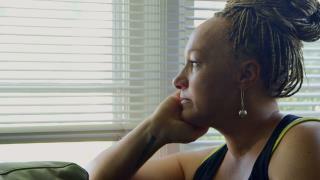 (Newser) – Rachel Dolezal has been misrepresenting her income, according to investigators in Washington state. The former NAACP chapter leader—who was born a white woman but describes herself as "unapologetically black"—has been charged with welfare fraud and could get up to 15 years in prison if convicted, the New York Daily News reports. Dolezal, who changed her name to Nkechi Diallo in 2016, is also accused of perjury and false verification for public assistance, reports the AP. Authorities say she illegally received $8,747 in food assistance and $100 in child care assistance between 2015 and 2017. During the Obama administration, two people went on Food Stamps in this country for every job that was created. I really hope that Miss 'Wannabe Black' gets convicted and sent to prison. She has already 'experienced' the welfare part, now she would get to 'experience' the sent to prison part too. After 15 years in the pen, who knows, maybe she will get to really be black!